Dr. Narasimha D. Rao's research examines the relationship between energy systems, human development and climate change. He is the recipient of the European Research Council (ERC) Starting Grant (2015-2018) for this project, the Decent Living Energy – energy and emissions thresholds for providing decent living standards for all. His research interests include investigating income inequality, infrastructure, and climate policy. His methods include household energy modeling, econometrics, input-output, and policy analysis. Dr. Rao won the 2011 Amulya K. Reddy Prize for the Best Paper in the journal ‘Energy for Sustainable Development' for his paper entitled ‘Kerosene Subsidies in India: When Energy Policy Fails as Social Policy'. Dr. Rao is also an Adjunct Fellow at the Ashoka Trust for Research in Ecology and Environment in Bangalore, India. Dr. Narasimha D. Rao obtained his PhD from Stanford University, California, in the Emmett Interdisciplinary Program in Environment and Resources (E-IPER) in August 2011. 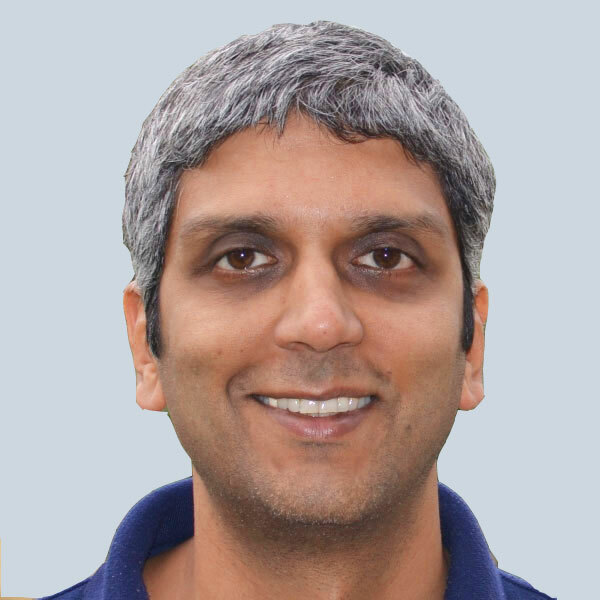 Dr. Rao has previous master's degrees in electrical engineering and technology policy from the Massachusetts Institute of Technology. His professional experience includes four years as a Visiting Faculty at the Indian Institute of Management's Center for Public Policy in Bangalore, India, and seven years of consulting in the electricity industry in the US. Dr. Jihoon Min is a Research Scholar with IIASA's Energy (ENE) Program, having joined the group in September 2015. His general research interest lies in understanding what factors drive energy consumption patterns and how they link to consequent greenhouse gas emissions and climate change. He is also interested in the linkage between energy consumption and poverty alleviation. At IIASA, he investigates the implications of promoting human development in developing countries on the global carbon budget and examines how we can accomplish decent living standards for the people in those countries. The topics of his previous research include residential energy consumption modeling, system-wide impact assessment of energy efficient technologies, and analysis of consumer preferences for these technologies. Dr. Min received his doctorate in Engineering & Public Policy from Carnegie Mellon University (USA), where he investigated the behavioral aspects regarding the limited adoption of efficient technologies. He also holds an MESc from Yale School of Forestry and Environmental Studies (USA) and an MS in electrical engineering from Seoul National University (Korea). He has industry experience as a senior researcher at LG Electronics and as a demand-side analyst at Efficiency 2.0, where he launched an online tool for home energy/carbon audit with his colleagues. Alessio Mastrucci joined IIASA's Energy (ENE) Program, as a Research Scholar in August 2016. At IIASA, he is working on the assessment of energy and human development linkages and on the development of emission pathways for poverty eradication in developing countries using integrated assessment modeling. Dr. Mastrucci holds a PhD in "Buildings, Architecture and Structures" and a Master's Degree in "Building Engineering – Architecture" achieved at the Università Politecnica delle Marche (Italy). His fields of interest include building physics, low energy and sustainable architecture, energy modeling and life cycle assessment of large building stocks. Before joining IIASA, he worked as a postdoctoral researcher at the Università Politecnica delle Marche (Italy) and the Luxembourg Institute of Science and Technology (Luxembourg), and was involved in national and European research projects. His postdoctoral research focused on the development of a framework integrating energy modeling, life cycle assessment and geographical information systems to assess the energy and environmental performance of urban housing stocks and further support carbon mitigation in European cities. 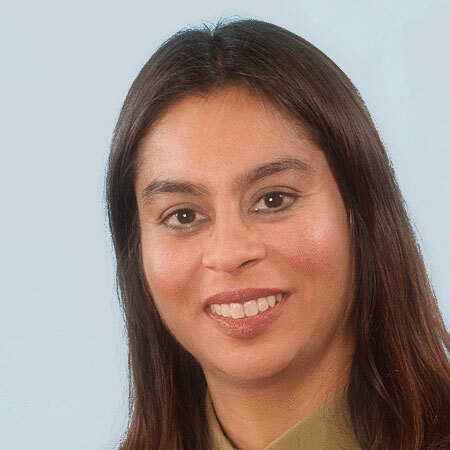 Dr. Shonali Pachauri is currently Senior Research Scholar in the Energy (ENE) Program at the International Institute for Applied Systems Analysis (IIASA). She joined IIASA in 2005. Her research over the last decade has focused on the socioeconomic, demographic and environmental dimensions of household energy use in the developing world. In her present capacity she coordinates and leads research on analyzing heterogeneities in energy access and use in the developing world, policy pathways for achieving universal modern energy access, and assessing the wider impacts of this for sustainable development. Her broader research interests include the socioeconomic aspects of energy access, use and choice; resource use and access in relationship to lifestyles, poverty and development; energy access, demand and fuel choice modeling as well as the analysis of embodied energy of household consumption in developing countries. Dr. Pachauri recently served on the Executive Committee of the Global Energy Assessment (GEA) and was Convening Lead Author for the chapter on Energy Access for Development. She is also author of over 30 journal publications, a book published by Springer, and several book chapters and policy reports. She is a member of the editorial board for the journal Economics of Energy & Environmental Policy. Dr. Pachauri has served as a reviewer for the Starters Grants of the European Research Council (ERC), the Swiss National Science Foundation (SNSF), the Social Sciences and Humanities Research Council of Canada (SSHRC) and the South Asian Network for Development and Environmental Economics (SANDEE). Prior to joining IIASA, she worked as a postdoctoral scholar with the Centre for Energy Policy and Economics (CEPE) at the Swiss Federal Institute of Technology Zurich (ETHZ). Her professional experience also includes three years of consulting with an Indian firm working on rural natural resource management projects. Dr. Pachauri was awarded her doctorate from ETHZ in 2002 for her work on an energy analysis of household consumption in India. She also holds an MSc in environmental and resource economics from University College London (UCL). Dr. Keywan Riahi is Program Director of the Energy Program at the International Institute of Applied Systems Analysis (IIASA, Austria). In addition he holds a part-time position as Visiting Professor in the field of energy systems analysis at the Graz University of Technology, Austria. Dr. Riahi is a member of the Scientific Steering Committee of the Integrated Assessment Modeling Consortium (IAMC) and a number of other international and European scenario activities. His work within international modeling comparison projects, such as the Stanford-based Energy Modeling Forum (EMF), focuses on the spatial and temporal characteristics of technology diffusion and the path-dependent development of the energy system under alternative policy configurations. Since 1998, he has served as a Lead Author and Review Editor to various international Assessments, such as the Global Energy Assessment (GEA), and Reports of the Intergovernmental Panel on Climate Change (IPCC), including the IPCC's Third and Fourth Assessment Reports, the IPCC's Special Report on Emissions Scenarios (SRES), the IPCC's Special Report on Emissions Senarios (SRES), the Special Report on CO2 Capture and Storage (SRCCS), and the Special Report on Renewable Energy (SRREN). 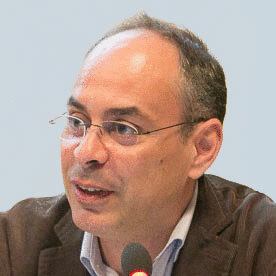 Recently he has also been appointed a Lead Author of the IPCC 5th Assessment Report. Professor Riahi's main research interests are the long-term patterns of technological change and economic development and, in particular, the evolution of the energy system. His present research focuses on energy-related sources of global change, and on future development and response strategies for mitigating adverse environmental impacts, such as global warming and acidification. His articles in the field of energy receive more than 1000 citations per year. Luis Gustavo Tudeschini is a Research Assistant with the Energy (ENE) Program at IIASA in collaboration with the CAPES (Coordenação de Aperfeiçoamento de Pessoal de Nível Superior, Education Ministry) Brazilian Foundation for support researchers. He is a former participant of the YSSP (2015) and the receiver of an award to continue his work at IIASA as part of his Ph.D. in Energy at IEE/USP. His Ph.D. research focuses on regional development, inequalities, household consumption patterns and their relationship with energy and carbon footprint. His thesis committee is composed of Prof. Dr. Suani T. Coelho (USP), Prof. Dr. Joaquim J. M. Guilhoto (OECD) and Dr. Narasimha Rao (IIASA). 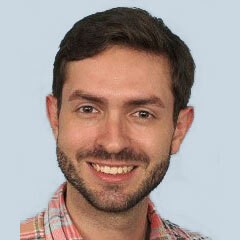 Mr. Tudeschini received his bachelor's degree in Economics from the University of São Paulo in 2012. He is currently a fourth-year Ph.D. candidate at the Research Group on Bioenergy, Institute of Energy and Environment, University of São Paulo. Since 2014, he has been a team member of the French-Brazilian research project entitled Evolution of consumption patterns, economic convergence and carbon footprint of development: A comparison Brazil – France (ECOPA). He also has been involved in projects on Biofuels, Investment in Sustainable Energy, Energy Access, and International and Regional Trading.